You just lost your phone and want to wipe your personal information. You attend an event, and you want to share your photos with some people (but not everyone). You hesitate as you download another app that's asking for a lot of information. Everyday, we make choices that affect our privacy and security online. Most people, however, don’t feel they have the right level of control to make these important decisions. According to a recent Pew study, 93 percent of people think it’s important to control access to their personal information, and 90 percent care about the type of information that’s collected about them. But only 9 percent feel they have “a lot” of control over it. We want to change that. Google builds simple, powerful privacy and security tools that keep your information safe and put you in control of it. 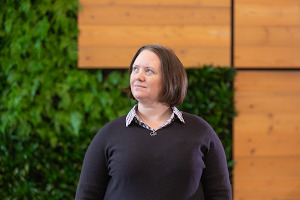 At Google I/O, we announced that people will have more control over the information they provide to mobile apps in the M release, the next version of Android. Today, we’re rolling out two significant improvements to our privacy and security tools: a new hub for managing your Google settings called My Account, and a new site that answers important questions about privacy and security on Google. Privacy and security are two sides of the same coin: if your information isn’t secure, it certainly can’t be private. 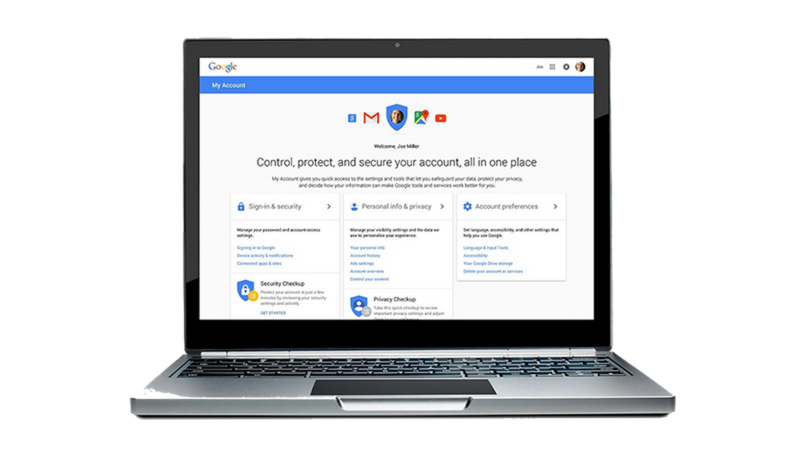 My Account gives you quick access to the settings and tools that help you safeguard your data, protect your privacy, and decide what information is used to make Google services work better for you. It also provides more context to help you understand your options and make the right choices for you. Take the Privacy Checkup and Security Checkup, our simple, step-by-step guides through your most important privacy and security settings. Manage the information that can be used from Search, Maps, YouTube and other products to enhance your experience on Google. For example, you can turn on and off settings such as Web and App Activity, which gets you more relevant, faster search results, or Location History, which enables Google Maps and Now to give you tips for a faster commute back home. Use the Ads Settings tool to control ads based on your interests and the searches you’ve done. Control which apps and sites are connected to your account. We built My Account to be a resource for everyone, even if you don't have a Google Account. Check out your controls at myaccount.google.com. We listen to feedback from people around the world to better understand their concerns about privacy and security. In addition to My Account, we want to help people find answers to common questions on these topics, such as: "What data does Google collect? What does Google do with the data it collects? What tools do I have to control my Google experience?" Our new site, privacy.google.com, candidly answers these questions, and more. 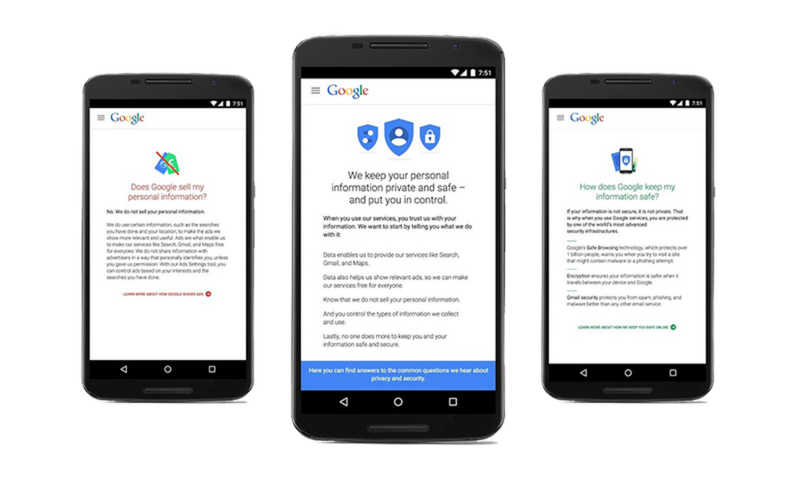 We also explain how we show relevant ads without selling your personal information, how encryption and spam filtering help keep your data safe, and how your information helps customize your experience on Google. Visit this site often to learn about new tools, features, and information that can help you make the choices that are right for you. When you trust your personal information with us, you should expect powerful controls that keep it safe and private as well as useful answers to your questions. Today’s launches are just the latest in our ongoing efforts to protect you and your information on Google. There’s much more to come, and we look forward to your feedback.